Sometimes we keep things to ourselves that shouldn’t be kept. They slowly become skeletons in a closet littered with cobwebs. There they sit on shelves barely able to hold the weight of the matter, waiting to be dusted off and shared. Like books in the Library of Alexandria, scrolls of wisdom with whom some use for pure power. We read the book again to be sure it is one we want to allow the world to uncover. I could probably write about the secret of eternal life, time travel, or the answer to the meaning of life. If I did, only a certain few would know. Heck, most of you would probably not believe me. I don’t think I need to remind you that I am a fisherman and a stereotypical fisherman might bend the truth at times. Whether or not I am stereotypical is decided by one who reads this. Even the secrets I allow through the filter of my meandering style of writing might even be kept secret by some reader out there. Yet another trunk of secrets in a distant Alexandria similar to my own, collecting dust and cobwebs until the moment they pass along an idea that becomes a legend. Progress is the key to the trunk. The oldest ideas die the hardest. 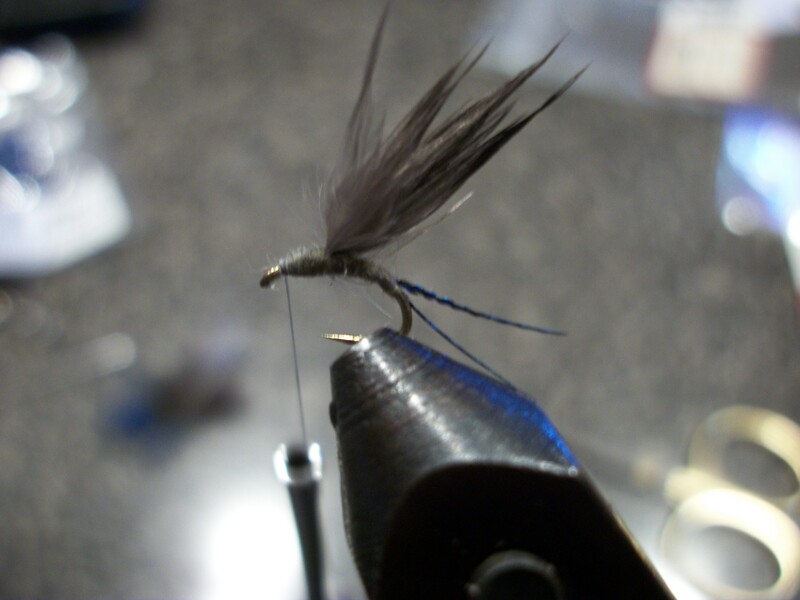 When I tie a fly, I like to mix it up. Automatically, we who tie gain an upper hand. Why? Well, it is simple. We can tie something different, and in head and tailwaters alike, we catch fish based solely upon the idea that sometimes all that is required is a subtle change to a working pattern. Today the secret being shared is based upon the RS2. A fly, that for years I denied and disrespected based upon the idea that it has a certain lack of pizazz. In short, the traditional fly sickens me. Why on Earth do we tie these on straight-shank hooks? Tradition? 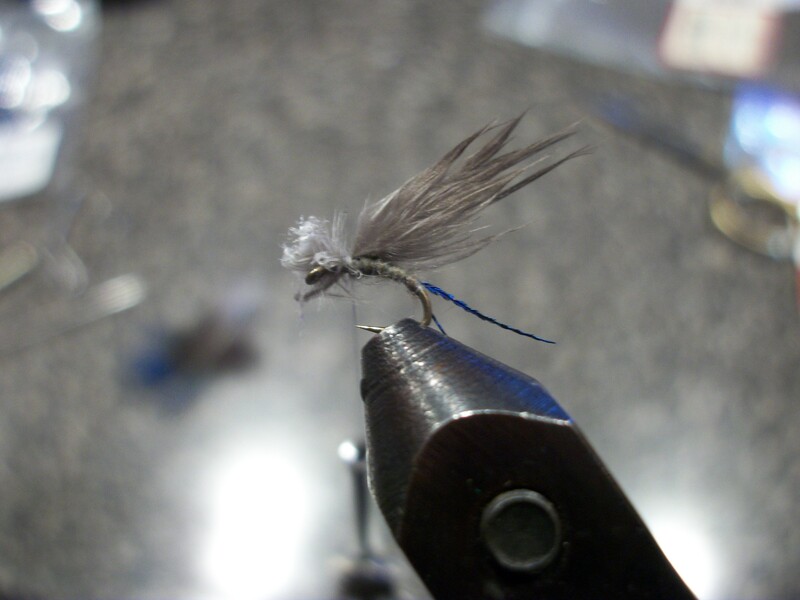 The fly has been seen by every western fish, lets change it up. Let us progress the sport rather than get bogged down in some traditions. 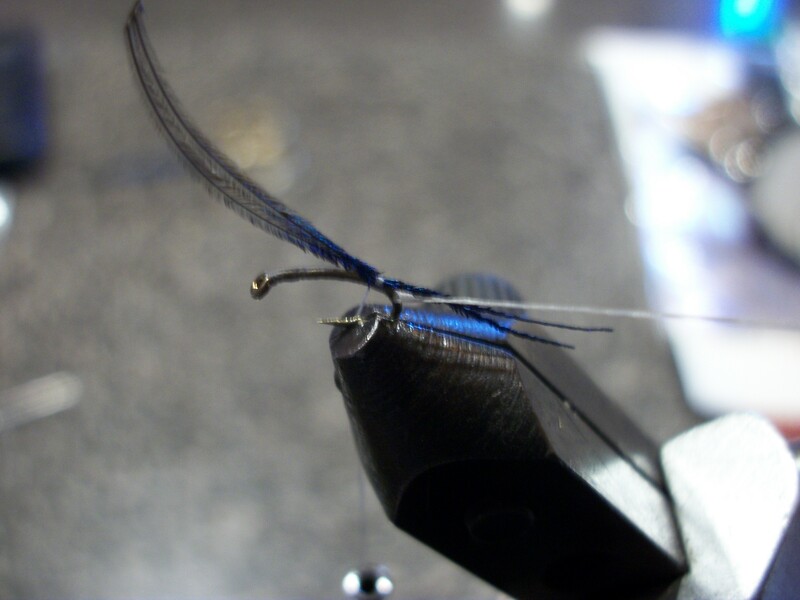 Tying flies is a legacy, not tradition, things don’t work like they used to. We can build a fly rod from bamboo, machine a reel by hand, forge steel for guides and be as traditional as possible with the art. I’ll be damned if I tie a Royal Coachman on the end of it. We have to move away from tradition yet keep it alive to progress in the art of tying. Tailwater fishing for me is a challenge. Technical fish, easy to read water. It is the best place to hone certain skills or weed out non-working patterns. 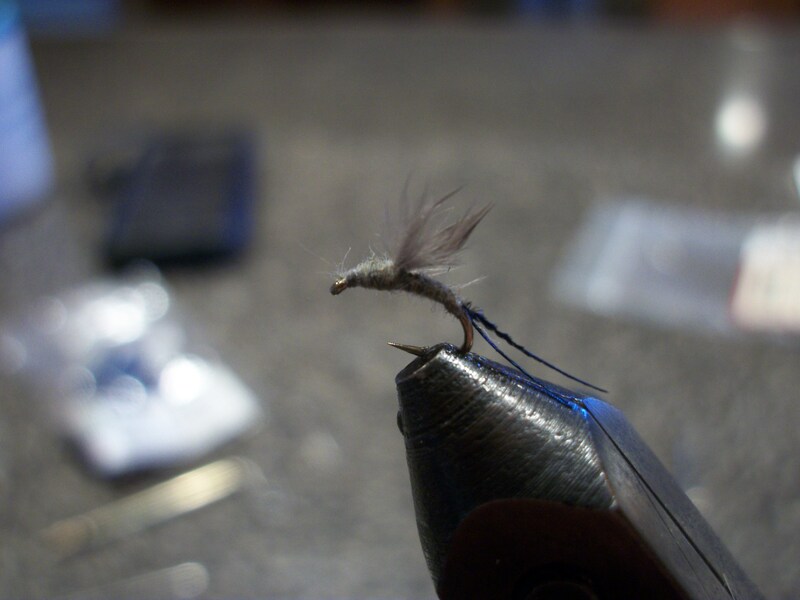 The Arkansas River is the test water for most of my flies. It is close and I know the water well enough to say, with conviction, that a pattern will not work. Still, the fish are dumb enough to take certain patterns that might work in a different season on a different river, but not so dumb that they will eat any fly you throw. Fishing was slowing enough on the river that I would not return without some new designs. I returned home from work one day and began to research the RS2 and to see all of the ways that this fly is butchered. It is really sickening to see that horrible straight-shank, scissor cut, over dubbed, no taper, monstrosity. On the flip side of the coin, the ultra flashy, under dubbed, over garnished, fly brings my blood to boil. The idea of the original fly is fantastic. It is a naturally shaped, naturally colored, hatching insect. Build from here. The first thing to go was the hook. I can’t describe my disdain of them. Threw out the old 100 and started the size 18, 2457 with 8/0 gray uni. Simple enough… Start the fly behind the eye and build a thread base to the tail, just past the bend of the hook in the 45 degree area. Here is where I put a twist on the same old thing. I used blue peacock feathers for a single split tail. The original idea here was to see if tails matter by making one naturally flashy. I still conclude that the theory is only that, but the blue tail does attract attention and fished better than its microfibbet brother. You can use a piece of thread to split the tails, you don’t have to. Peacock is a fantastic material to tie with, very strong and adjustable and just pulling them apart works fine. 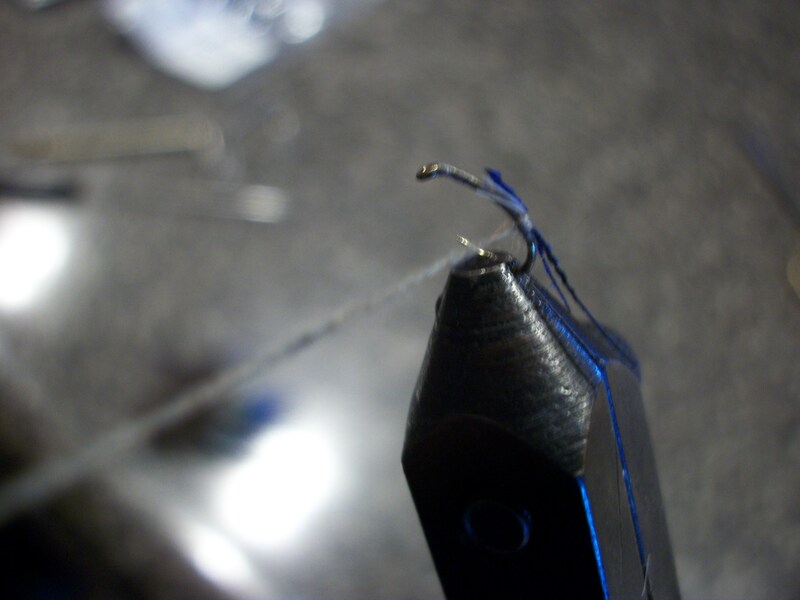 If you do use a thread, fold it around the curve of the hook and bring it up between the tail. 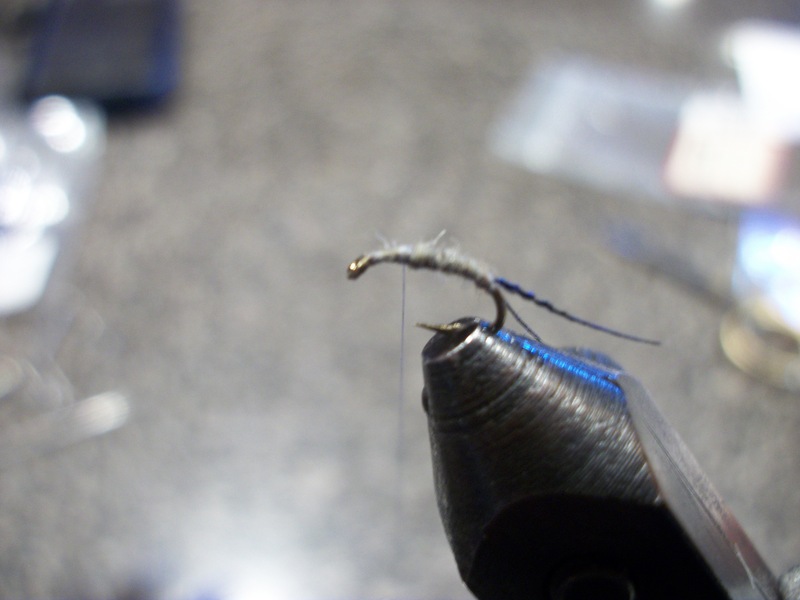 A good tip here is to spin the thread together before splitting the tail. I like to make some things that I feel are triggers on a fly a bit more dramatic, in this case, I like longer tails. Next is to dub. I use a mix of some superfine dub. This mix is only a secret because I can’t remember what exactly went into the grinder before hand. It is oliveish… Again, here is another thing I dislike about the bug. No one ties this thing with any taper. 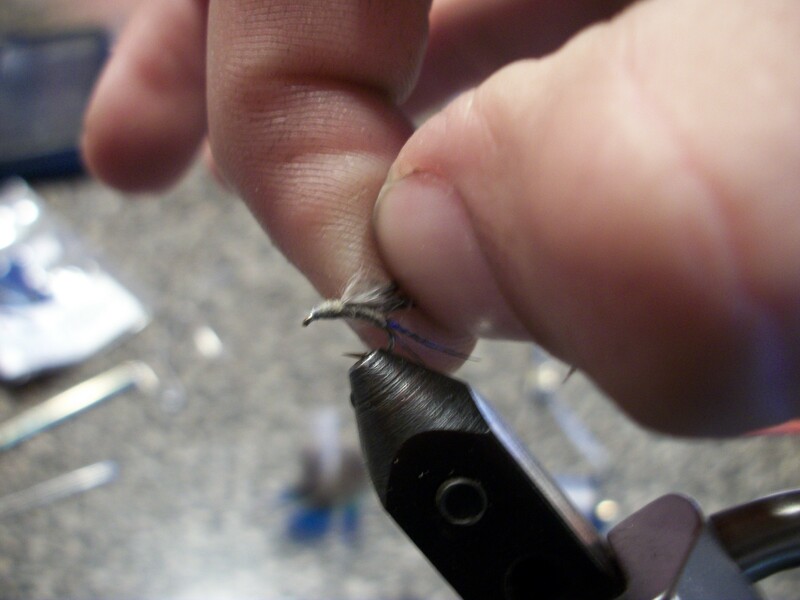 Instead of having an even taper on your thread and building a taper on the fly, build the taper on the thread and adjust it on the fly. Double wraps are bad. Do the tails look sideways? Yup, they are. Not on purpose. Anyway, wrap the dub just past the point of the hook. This will help you taper back down to the eye. This will help to avoid that pronounced lump in most RS2’s. Remember, the wings are out, no need for a giant lump. I know, I know, the tails are still crooked. My apologies to the perfectionist. Next is the wing. Traditionally it is tied with the under feathers of a hen saddle (when you do research on this damn bug you will get a lot of differing theories). Here is another fun, interesting and exciting thing about the peacock. The feather is softer on the fluffy side than most, and it breaks in roughly the same area. That bit of info comes in handy in a second. So, tear some off and tie it in just above the base. 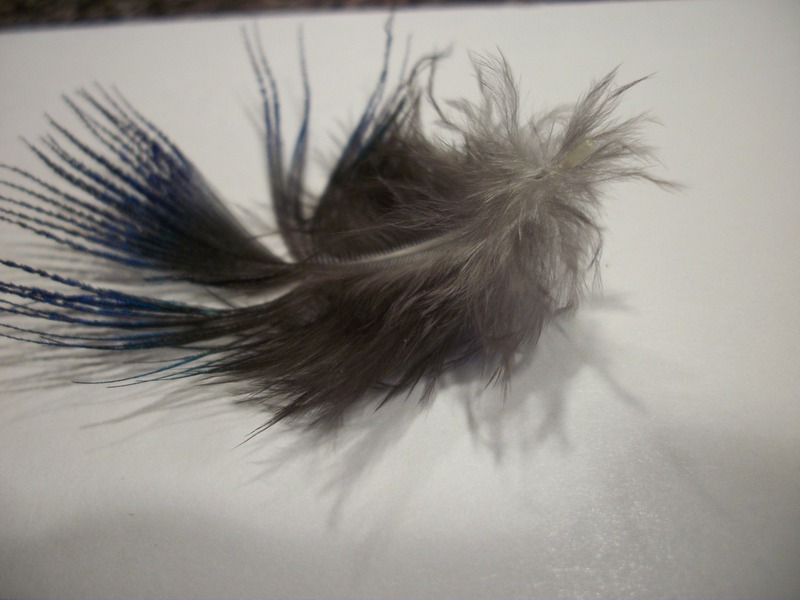 The deeper gray fluff is more sturdy and typically I can only get two flies from one feather, but you can use the higher fluff if you want to cut it off. Now, trim all this stuff, even the taper with thread and build a reverse taper dub that will thin as you wrap it to the front of the hook. Maybe that tail thing is an optical illusion. At this point, just finish the fly. Another thing I dislike is cutting the wing. It leaves a flat top that mimics nothing. If you have ever seen a fly struggling with his wings, it isnt pretty. Plus, I enjoy fishing slightly messy bugs. Instead of cutting here, just pinch and pull the feathers. Trust me on this, you got this far, right? Then you are done. Up next, the halo midge. It was a hot summer. I say “was” because now, as I sit in my room contemplating, summer is over. The trip I am writing about was that very last day… Or so I thought. The Taylor River is probably the most awkward and unseasonably cold river on earth, no matter what the season. I forget this every time I make the journey, but being a good little prepared back country guy, I’m always prepared for snow. Even in July. As I waited in construction traffic, I took a nap, well deserved after a 3am rise. 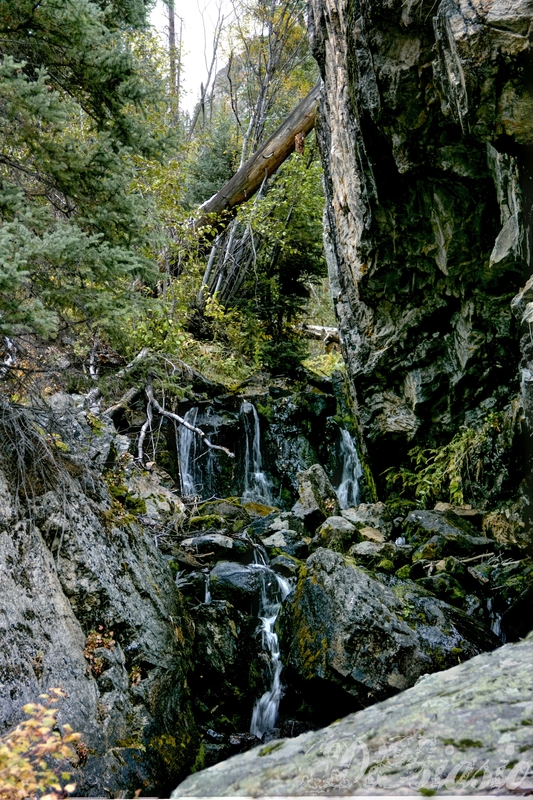 My mind began to wander off with the river that flowed next to me, a vision of things to come and things that were. The power of the river, limitless. Something more than the fish and technical prowess of the river drew me here. Much like the Arkansas, when you step into the river, you feel the power of a glacier fed creek that drains into the vast expanse of ocean to be lifted and frozen and deposited back to the glacier from where it began. It floors me every single time, the power and majesty of the water. I look at what we have become, the destructive force of humanity, that no longer allows this river to flow into the ocean by means of a delta but rather sewage and human waste. Something that brings us so much life, a thing from which we were born, is also something we take for granted. No matter its fate, she is still here. For now. A quick pointed rapping on my window woke me up as a pilot car and flag man anxiously awaited my journey up the canyon now warmed by the sun. I was not in such a hurry. I knew she waited patiently for me, as I, for her. The power of the river was subdued by her own exhalation. She had spent her energy breathing life to the world below. A world now in slow decay who also awaited patiently for her exhale again, in spring. Yet we still fight over how much we can use. How much we can take away for our own personal gain. For our crops, for our yards, for our showers, toilets, carwashes, electricity, tv, makeup, and clothes. For our energy drinks, diet pills, Starbucks coffee, oil refining, recycling processing, and every little thing that makes our existance. I had to stop myself there. Anyway, I geared up. Not with waders, but with my cold weather gear. Twenty-eight degrees will make you rethink the process. I wasn’t ready for it yet. I left colorado springs at well over sixty, even at three am. 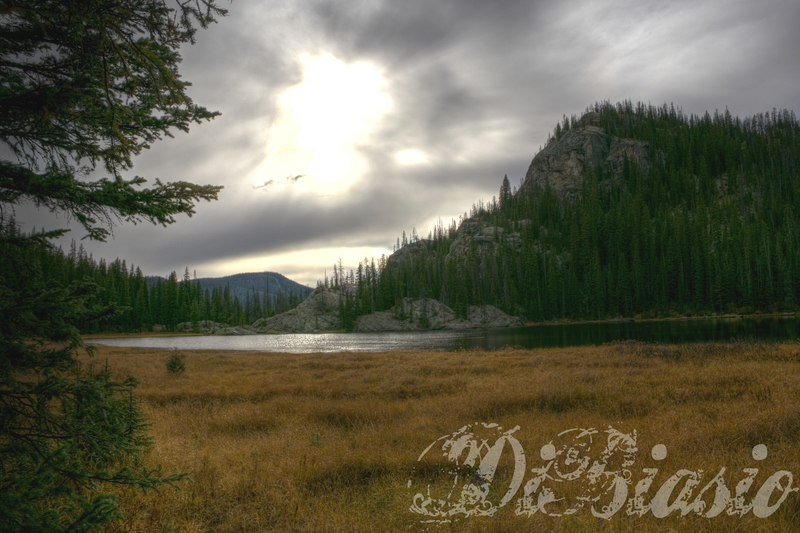 A brief acclimation time took place as I walked down to the river, but once I was there, I would forget completely. The river had decided to give up her treasure to me. The day wore on, fisherman expecting “hawgs” and “pigs” came and went with empty nets. Not willing to brave the cold long enough to entice the unwilling meatheads below. Many times I was approached and asked what I was using. I’ve learned my lesson after being called a “smartass” (yelled at me 3 times) on the Frying Pan for using a caddis. Most times in tailwater, I keep my headphones on and eyes to the water. This time I proclaimed “wooly bugger” which was the gods honest truth. However, it was shrugged off by most fisherman. After my stint in the Taylor, I moved on to camp. The next day brought excitement. The next morning, the sun hid behind the canyon walls. I froze. Fishing the Taylor in the wee hours before getting a foothold into higher ground. She gave me small gifts, but I had to move on. To explore. Then, I found it. Untouched, unexplored, unblemished, unnamed, and far away from man. What exactly happened there shall forever remain a mystery to the readers of this, but there were fish, and there is still hope after all. Maybe that is why the Taylor River is so cold. Maybe she is just sad and alone, like the ones who appreciate her the most, the ones who feed her.